A346ECOX1.3D-A546KECOX1.3D-A756KECOX1.3D is a three phase industrial vacuum cleaner. 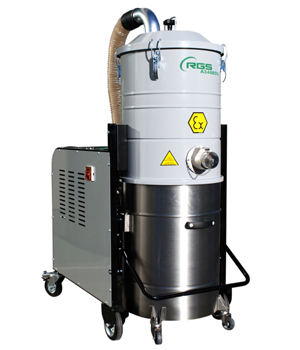 This ECO series are specifically used for sucking dust and cleaning, liquids and waste in industrial environments classified as Atex zone 22. It is very powerful, practical and efficient machine.